An organized workspace increases productivity and this stand can help you get there. It's also great if you want to adjust your screen so that it sits higher on your desk. 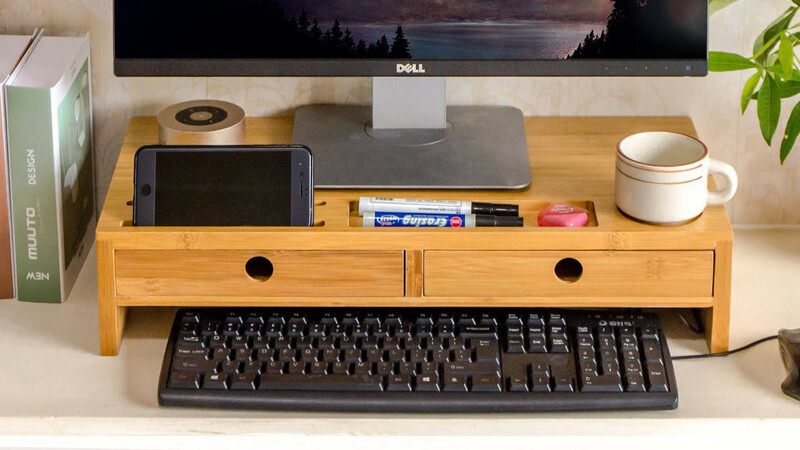 Save space by storing pens, pencils or your phone in the drawers instead of on your desktop. The easy open drawers allow you to access your things at any time. There is room under the stand to put your keyboard and mouse away when you need your desktop clear. The stand is made from 100% Moso Bamboo which is known for its durability and strength. It can hold a weight of up to 80lbs.